ABOUT 750 contract employees would be affected after Exxaro Resources terminated its agreements with Group Five Construction which announced earlier this month it was to go into business rescue proceedings. Group 5 Projects was contracted in April 2017 to build a new coal plant as part of Exxaro’s Grootegeluk Plant 6 (GG6) expansion at the Grootegeluk mine in South Africa’s Limpopo province. The project was down for completion in May, but will now suffer a delay as a result, the company said. “It is indeed a sad day as more than 750 contract workers will be impacted by this decision,” said Johan Meyer, executive head of projects and technology at Exxaro. He said at the group’s year-end results presentation on March 14, however, that Exxaro’s financial exposure as a result of Group Five Construction’s financial difficulties was minimal. “To put Group 5 into context for the GG6 project, it’s R4.8bn [capital expenditure] of which the Group 5 [contract] is only R650m, which is about 11% of the project. And that part of that project is at 85% completion,” he said. “So the only exposure, from a financial point of view, is about R100m that we need to get to completion, and it’s pleasing to note that we knew about this challenge. All the equipment is on site,” said Meyer. “We just need to install it and it’s actually just the labour that we require to finish the job. Obviously with the business rescue, it has its own dynamics and we are in close contact to make sure that we look at all our contractual options to finish the job,” he said at the time. Exxaro said today that it was “engaging with its labour support – legal and human resources – to maintain stability on site. Group 5 Project’s workers and subcontractors had moved off-site in the meantime. “Exxaro will keep all stakeholders updated and will share more information as and when it becomes available,” said Exxaro. First production from GG6 is planned for the second half of this year with full production of about 1.7 million tonnes to 2.7 million tonnes of semi-soft coking coal expected in 2020. 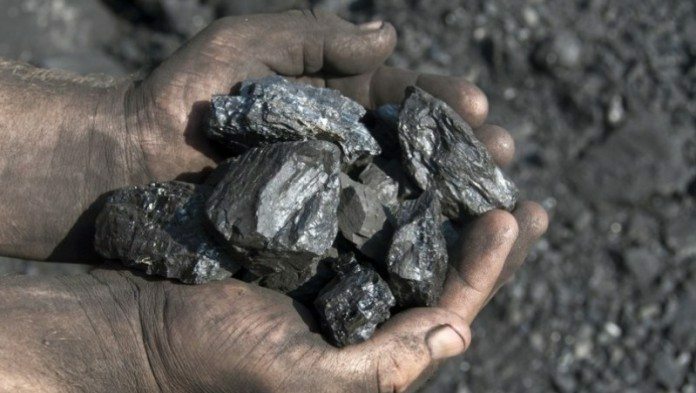 Exxaro said at its results presentation that it may expand production from its assets quicker than at first scoped in order to capitalise on difficulties elsewhere globally in respect of winning permits for new coal mines. “There are winds of change regarding sentiment to fossil fuels and we take this seriously,” said Mxolisi Mgojo, CEO of Exxaro. “The way we are looking at resources is not that they are long-life, but how we can maximise value earlier so that whilst there’s certainty we can maximise value for stakeholders,” he said.